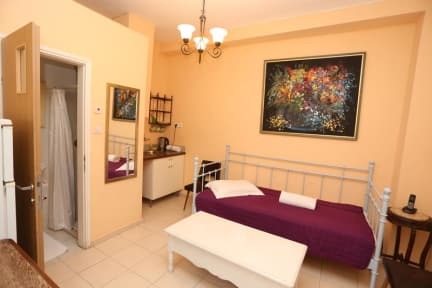 Located in the beating heart of historical Tel-Aviv, Peer guesthouse offers the perfect accommodation solution by combining warm homey atmosphere with great budget rates. This is your home away from home. Our reception and concierge service is open 24 hours a day, always ready and willing to assist, recommend or reserve tours and advise on anything you require to make the best out of your stay in Israel. Peer guest house is located in the Tel Aviv's Yemenite Vineyard. All of the main tourist attractions are within walking distance. 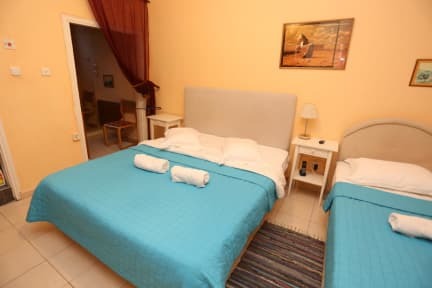 Peer guesthouse is just between the sunny beaches of the city and the 'Carmel Market' a few minutes walking distance from the White City, Old Jaffa,Neve Tzedek, Business district, shopping venues and many of the best attractions this colorful city has to offer. All Peer guesthouse rooms are private and not shared dorms. We offer 3 types of rooms for 2 or 3 guest. (Single use rates are available as well). All of our rooms offer private bathrooms and toilets, air conditioning, free Wi-Fi, linen and towels, daily housekeeping, mini bar and kitchenette with coffee/tea kit and kitchenware. Taxes included. Based on local tax laws, Israeli citizens must pay VAT. Please note that this property has several locations. Check-in takes place at Peer Boutique Hotel. Staff will then show you to your apartment or room. Close proximity to Carmel Market! I also found a laundromat near by (had been traveling for weeks). Loved being close to the beach, and Rothschild. My room was comfortable and clean. I hope to visit again! Although listed on Hostelworld, this is not a hostel it's a hotel. The location makes it a wonderful place to stay, just blocks to the beach and to the Carmel Market. But the room was really, really small 11'x12' including the bathroom, smallest room in our 4 week stay. The bed was comfortable but against and wall with a foot board so no easy way to get out without disturbing the other person. There was wifi in the room but no tv. There's a nice shared terrace area. Location was great.